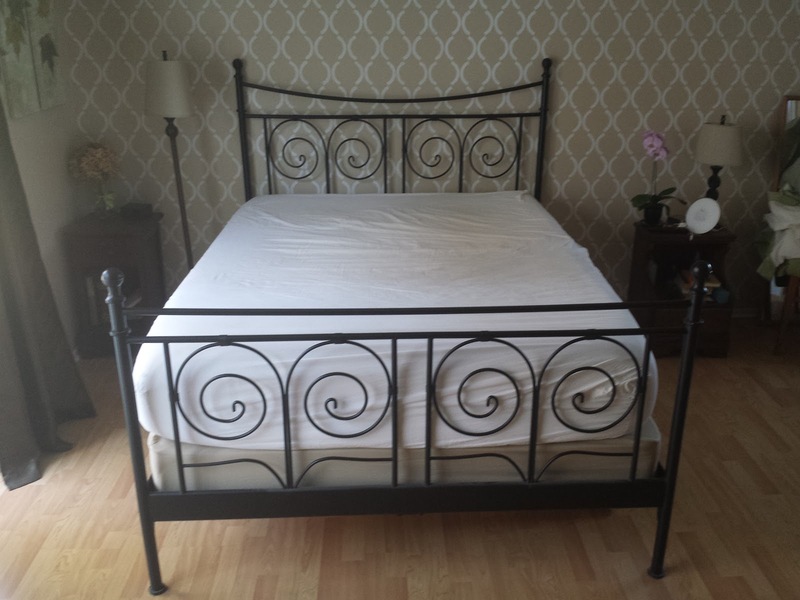 For quite a while, Chrissy has been asking for a new bed frame with an upholstered headboard. I resisted for a long time because the (shockingly sturdy) Ikea frame we had works fine. I eventually gave in and gave Chrissy the bed she wanted as an anniversary gift. 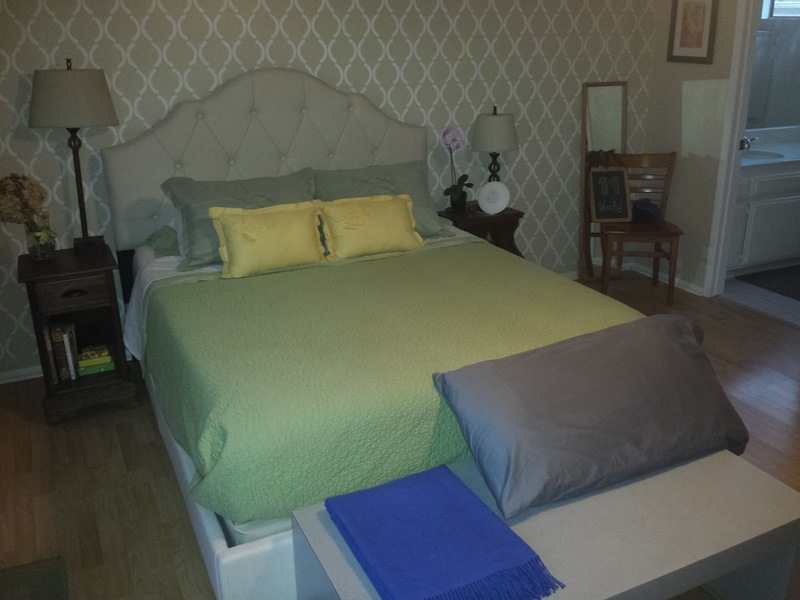 The new bed is quite nice, and has the added benefit of not having a footboard, so I can actually stretch out.